Hoof's are a Nottinghamshire based mobile gin company with a tastefully converted 1960's horsebox. 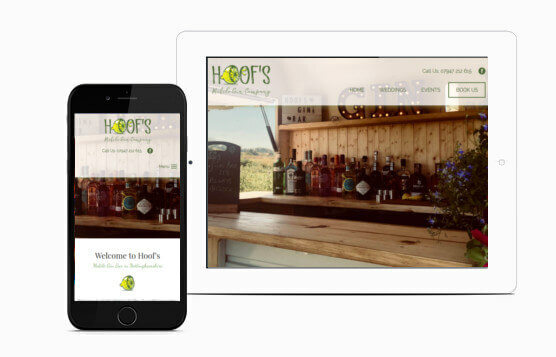 A new business needing a website to match their stylish mobile gin bar, Hoof's asked JKE to design the logo and website. We created an attractive logo and website to match displaying plenty of imagery to show the mobile bar and provide lots of content so that prospective customers can understand the services and gin provided. Complete with an easy contact form the design provides everything required to convert visits into business.